Sungai Serapuh is one of the important rivers for “udang galah” production in eastern coastal of North Sumatra. In the other rivers of North Sumatra, population of udang galah had continually decreased mostly due to ecosystem degradation, such as heavy land conversion from nipah swamp to fishpond, oil palm and coconut plantation, and sedimentation from upstream erosion. “Udang galah” and others fish species from Sungai Serapuh have been the main source of economic commodities for many local people since a long time ago. 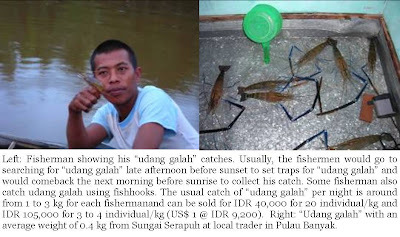 Fishermen usually catch “udang galah” in areas of low salinity at the nipah (Nypa fruticans) swamp of Sungai Serapuh. I will be doing my PhD research about the ecology and management of nipah swamp under the supervision of Professor Mashhor Mansor and Mr. Mohamed Hifni from School of Biological Sciences, Universiti Sains Malaysia. Recently, my main supervisor, Prof. Mashhor visited the study site at Sungai Serapuh area from 14th to 16th November 2008. 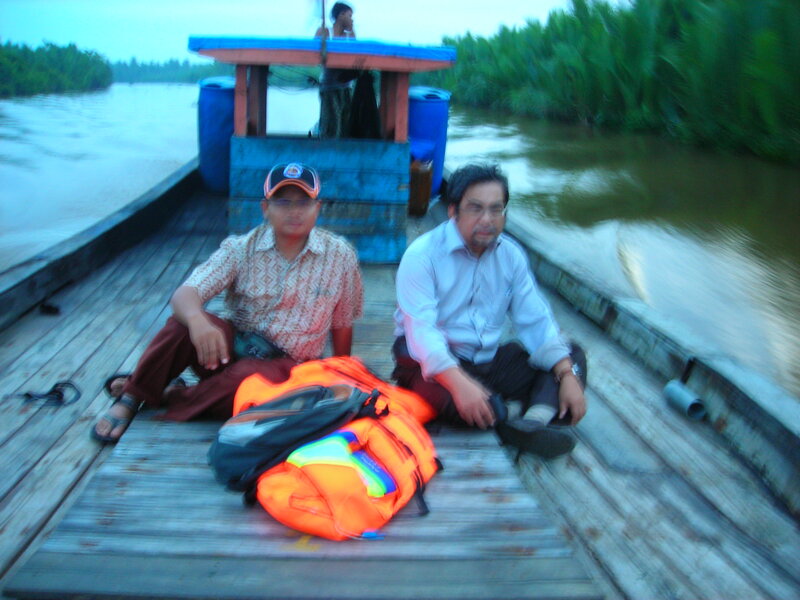 My supervisor for PhD program, Prof. Mashhor Mansor, PhD from the School of Biological Sciences has checked my research in Serapuh River on November 14-16, 2008. 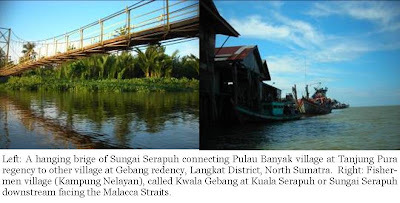 Nipah swamp community in Sungai Serapuh included the primary and secondary nipah swamp vegetation community, however, all of nipah swamp community in Sungai Besitang was only composed by disturbed community. Undisturbed nipah swamp community did not found in Sungai Besitang. Therefore, the nipah swamp community in Sungai Serapus is more complete and representative than Sungai Besitang for PhD research program.